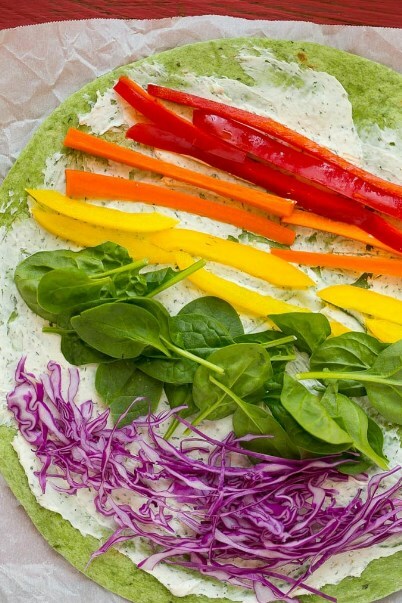 those veggie pinwheels are a rainbow of colourful fresh veggies with ranch flavored cream cheese, all rolled up inside a spinach tortilla wrap. the precise lower back to school lunch! Rainbow veggie pinwheels are smooth finger meals for families at the go and are ideal for domestic, college, or work lunches. sometimes when I want a lunch that is simple to eat anywhere I make those veggie pinwheels with a few home made chex blend or a few chips and a bit container of this dill dip. in which has the summer gone? It appears like June turned into just the previous day and now nowadays is our first day back at school! in conjunction with the new college yr comes the want for healthful and clean again-to-school lunch alternatives. Turkey sandwiches can get sort of boring, that's why i have been operating on a few greater creative ideas like those rainbow veggie pinwheels! mix collectively the cream cheese and ranch powder until thoroughly mixed. unfold the cream cheese aggregate calmly over the four tortillas. Leaving a 1 inch border on all aspects, lay out 2 tablespoons of every vegetable in rows throughout the tortillas; top with shredded bird. Roll up every tortilla tightly; if the ends do not live close you could add a chunk more cream cheese to seal. cut crosswise into pinwheels and serve.